During the Autumn Term, Year 6 will be reading a novel considered to be a Modern Classic. 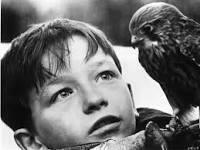 A Kestrel for a Knave (Kes) explores the relationships that a young boy Billy Casper has during a very difficult childhood. The book follows Billy day to day and shows us the world through his sad eyes.